Audio company Wisebuddah has launched a new service representing singers as part of its Voices division. “We are thrilled to provide the industry with somewhere to go for exceptional and hugely experienced vocalists,” adds Gemma Balsam, Voice Over Agent. The company’s singers’ roster is launching with voices that have worked with a wide range of brands including Coca-Cola, Nickelodeon, Global, BBC and Bauer. The names feature Kimberley Walsh, former Girls Aloud Member; Charlie Brown, singer of Coca Cola’s Christmas ad 2016; Kirsten Joy, currently fronting Clean Bandit on their world tour; Jersey Boys star Dayle Hodge; YouTuber Daniel De Bourg, currently starring in Disney’s Aladdin in the West End; and actor, musician and singer-songwriter Richard Fleeshman, currently playing the role of Gideon Fletcher in The Last Ship. 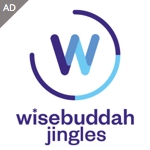 Wisebuddah Voices already works with Scott Mills, Nick Ferrari, Kate Lawler, Adam Caterall, Shane Richie, Chris Kamara, Josh Widdicombe, Rob Becke, Joel Domme, Katherine Jenkins, Denise van Outen, Huey Morgan and more.